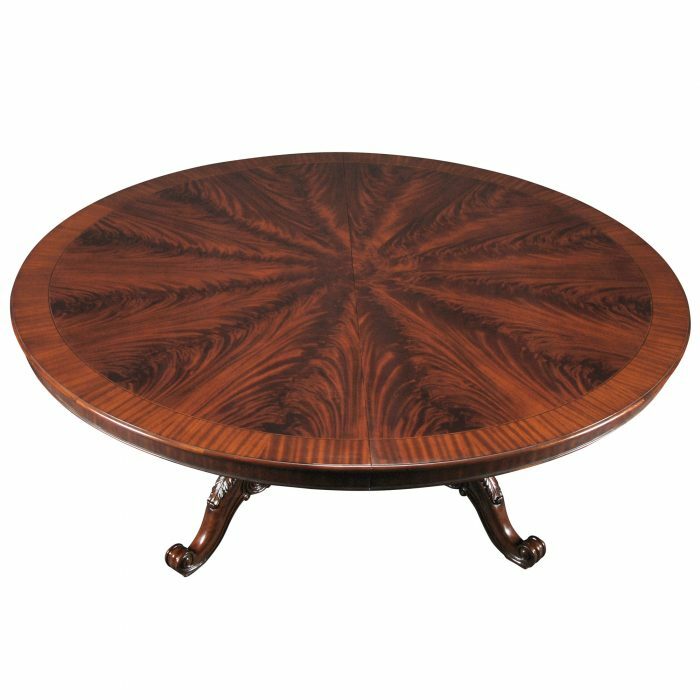 This is the Niagara Furniture version of an oversized 108 inch Round Dining Table. 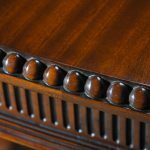 The table top is comprised of four pie shaped sections fastened together using countertop fasteners underneath the table top and then wooden sheets to hold everything tightly together. 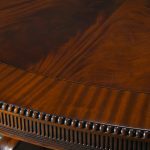 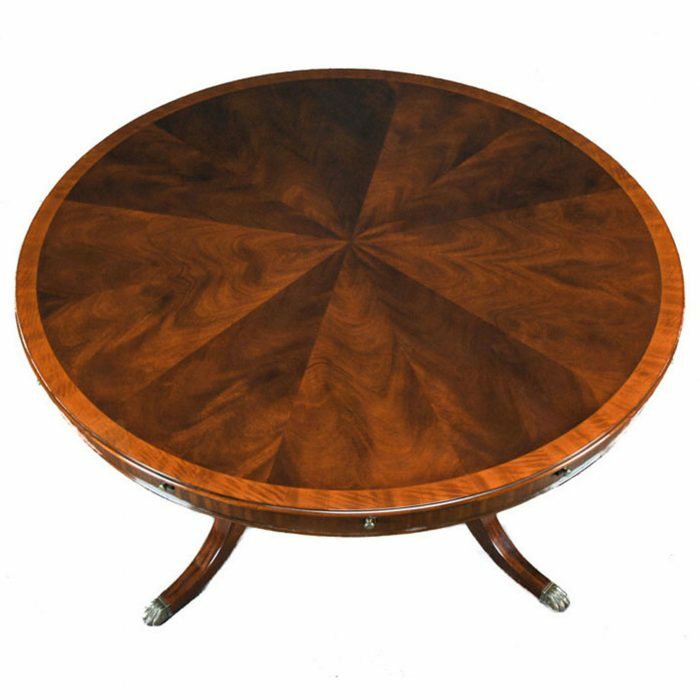 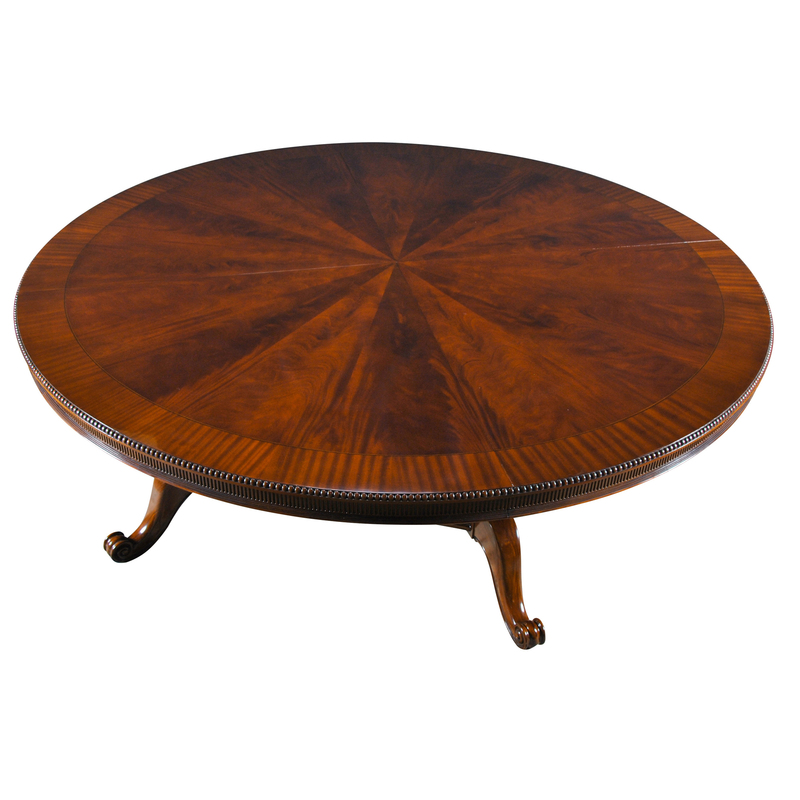 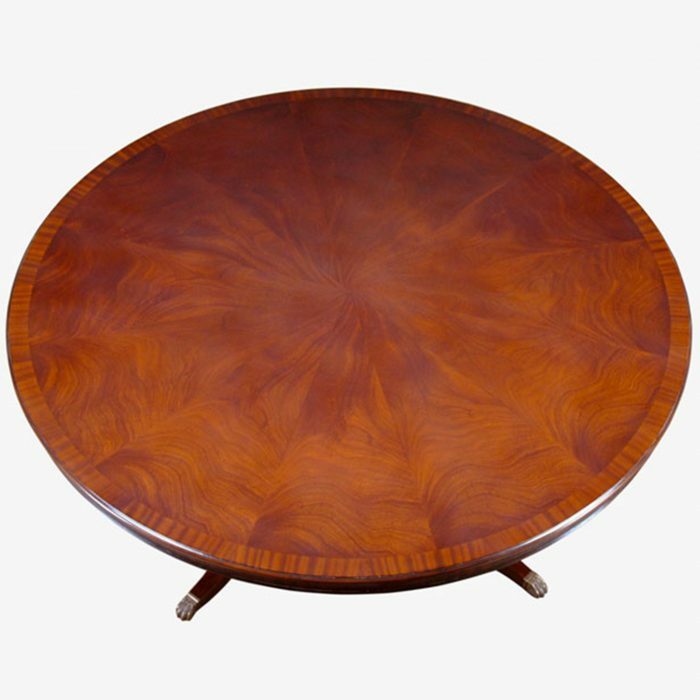 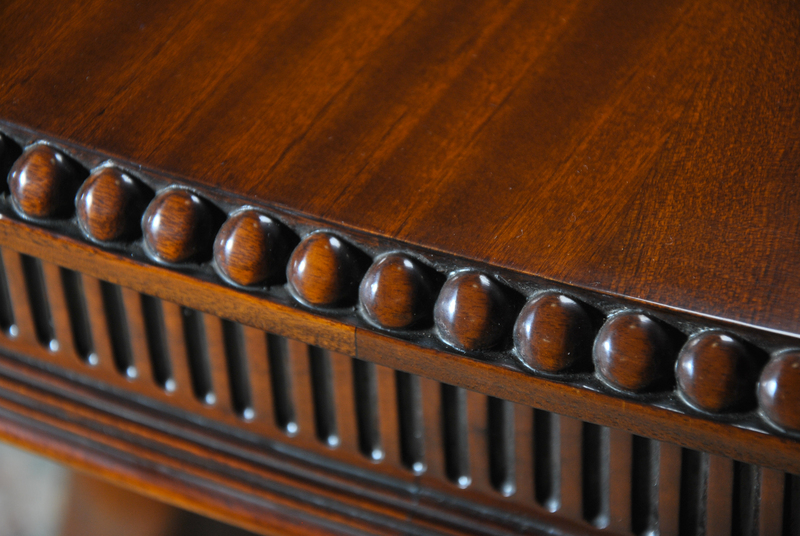 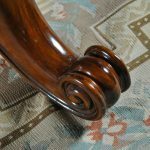 Built from the highest quality mahogany veneers our 108 inch Round Dining Table is banded with sapele mahogany veneers to offer a subtle contrast in the appearance of the top and the whole table top is surrounded by a superior grade hand carved, marble sized beading over top a fluted and carved apron. 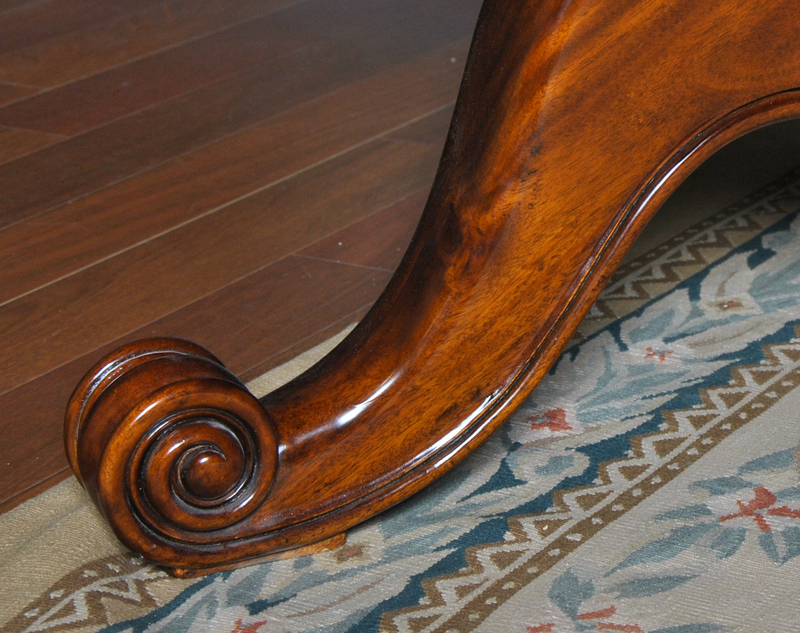 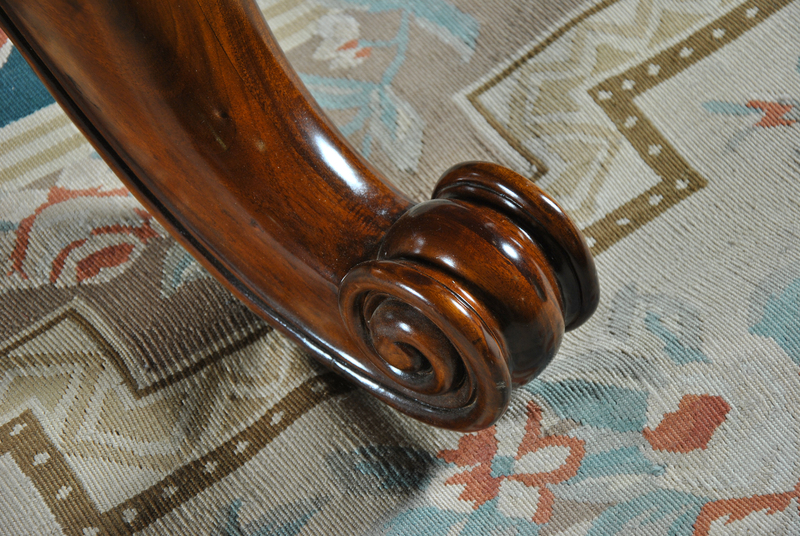 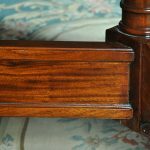 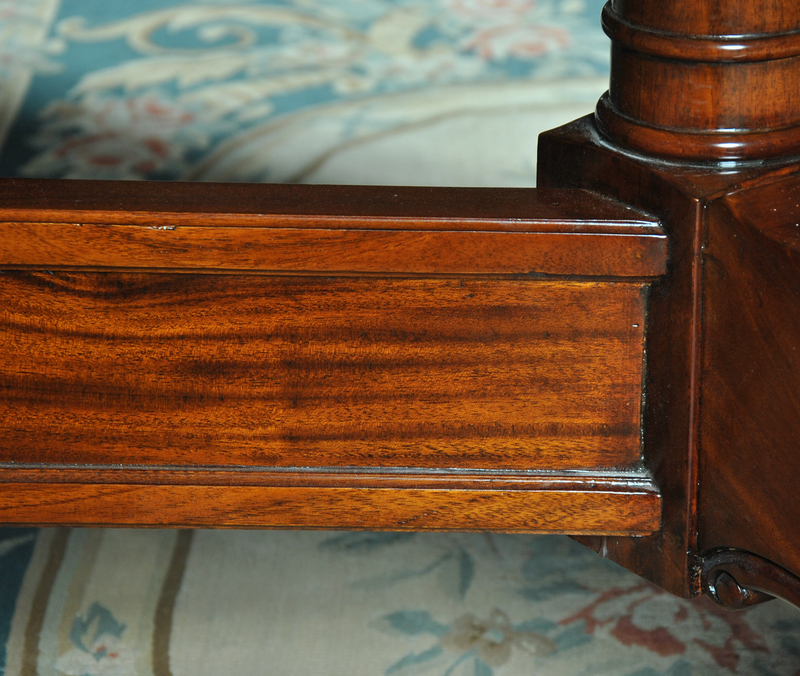 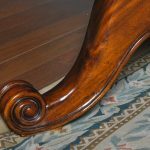 All resting on a massive base consisting of five solid mahogany scrolled legs. 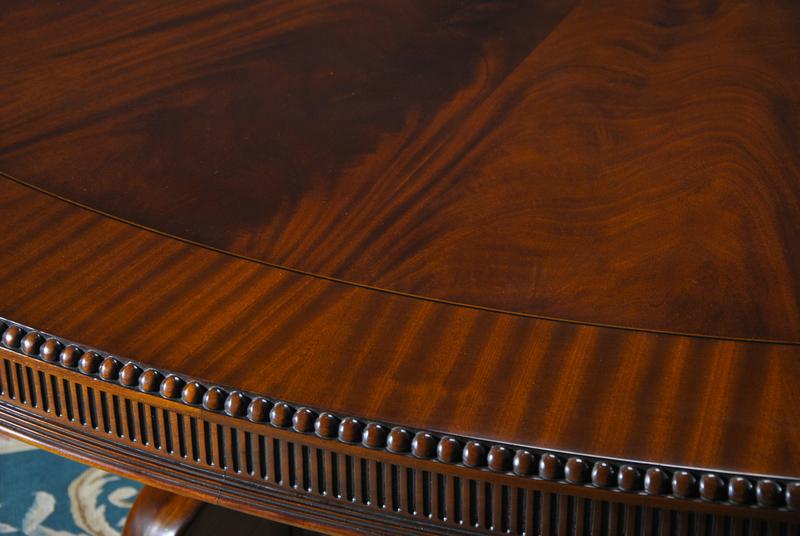 Suited for use in a dining room fit for a king, an office fit for a president. 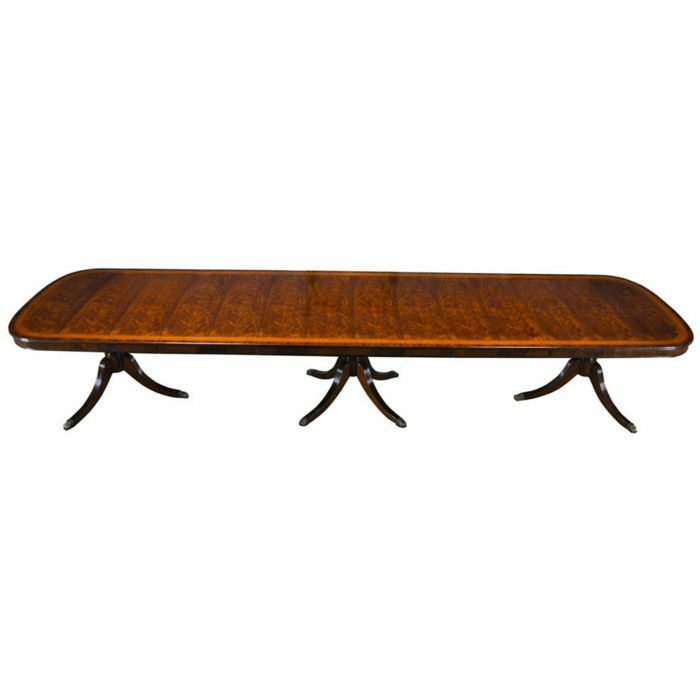 This item requires white glove service for delivery at an additional charge please call (717) 769-7906 for more information.